Last year a new force in airport operations was created with the formation of ADB SAFEGATE, combining the capabilities of six leading companies in the industry. 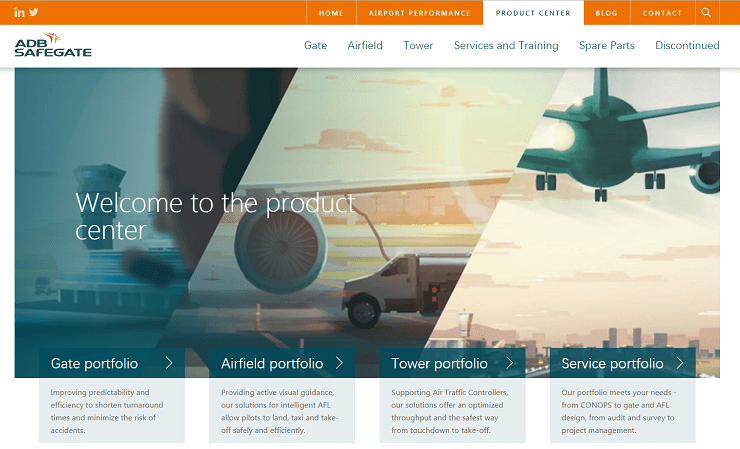 The integration of the multiple product and services portfolios, as well as the teams behind them, gives you a more coordinated and comprehensive set of solutions to meet your airport’s challenges. To help you make the most of these new capabilities, we are overhauling our website. Instead of the previous six websites, you can now find all the information you need in one place at www.adbsafegate.com. 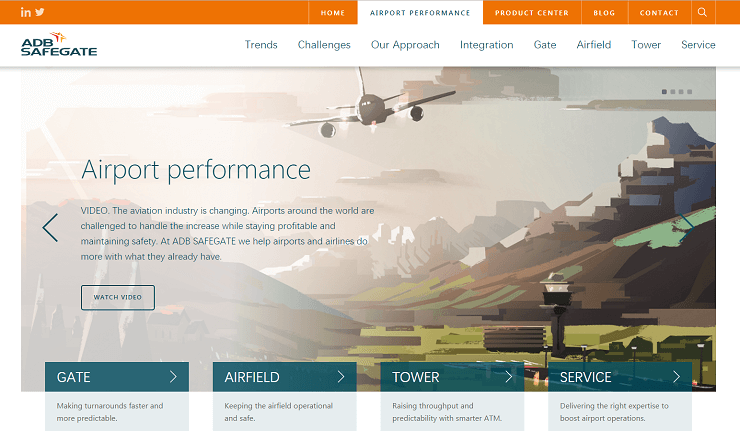 The website guides you through our Airport Performance approach and shows how our integrated solutions for the airfield, gate and tower, backed by expert services, can improve your airport’s safety, efficiency and sustainability. You can even navigate through our interactive airport to explore potential bottlenecks in your operations and see how we can solve them to make your airport run more efficiently. Complementing this solutions-based approach is the Product Center. Here, you can rapidly access any product and find related information such as spare parts, sales contacts and complementary products, as well as detailed documents and data. We’ve worked hard to make it as quick as possible for you to find the information you need without being distracted by non-essential information. The new ADB SAFEGATE website will constantly grow and develop, offering fresh blog posts and content, as well as new and improved features. So it’s worth checking back regularly to see updated solutions and new offers, as well as news of how we are helping airports around the globe to meet their own challenges. Please also keep in touch with us over social media where you find us on LinkedIn, Twitter, Youtube and Vimeo. You’ll also find the website adapts to whatever device you use to access it. Whether viewing on your desktop, smartphone or tablet, you’ll enjoy the same smooth and efficient experience at all times. We are excited about our new web presence, it’s an important milestone for us, and we hope you find it a great help as you seek to meet the challenges of the future. Again, welcome to our new online presence: www.adbsafegate.com.